UBC kin grad Van Oyen is a pioneer in pyography. Photo courtesy Julie Van Oyen. Over 400 artists opened their studio doors to the public for the 19th annual Eastside Culture Crawl. The event lasts four days and is hosted in 78 different buildings centralized between Main Street, Victoria Drive, 1st Avenue and the waterfront. “There's a higher per capita of artists who both live and work in that area than in any other part of any Canadian city,” said Esther Rausenberg, one of the executive directors of the Eastside Culture Crawl Society. The Crawl allows people to studio-hop throughout the weekend, giving the public access to a variety of artists and their works and practices. Participating for the first time in the Culture Crawl this year is UBC kinesiology graduate Julie Van Oyen, who works under the name Burn & Yonder. Van Oyen’s studio is located in the massive art space MakerLabs, which is a facility where tools to create – table saws, laser cutters, sewing machines and 3D printers – are available to every artist who rents space in the building. Van Oyen works primarily in pyrography, also called wood burning, which is the process of making an image in wood with wood burning pens. 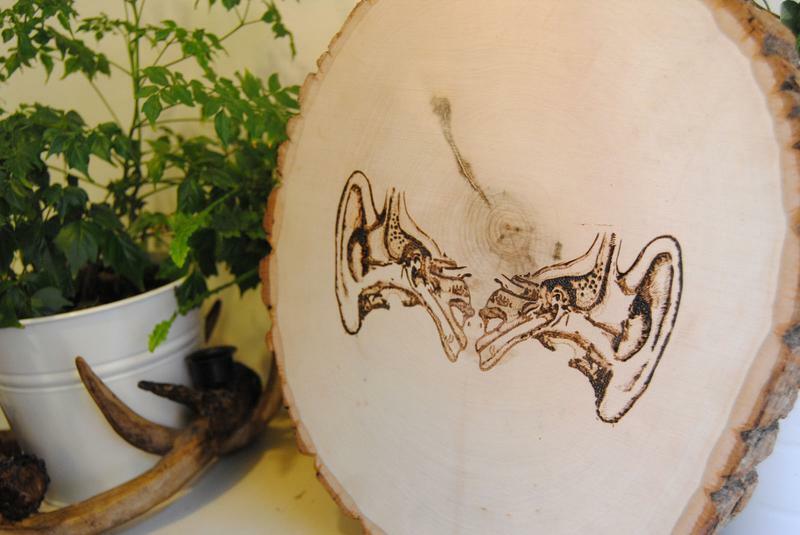 She began her pyrography practice when she participated in Hot Art Wet City’s 2014 Boobies and Wieners show. “I remembered wood burning [from when I was little] and I was like, 'Oh my god I’m going to get a wood burning kit!' I basically came up with the subject matter — very detailed anatomical illustrations — pretty much right away." Van Oyen decided to pursue her second love, biology, in the kinesiology program. However, when she graduated, she found herself disenchanted with her career options. This is what Culture Crawl is for — giving the public the ability to have open discussions with artists and talk about the often non-linear journeys that brought them to where they are today.